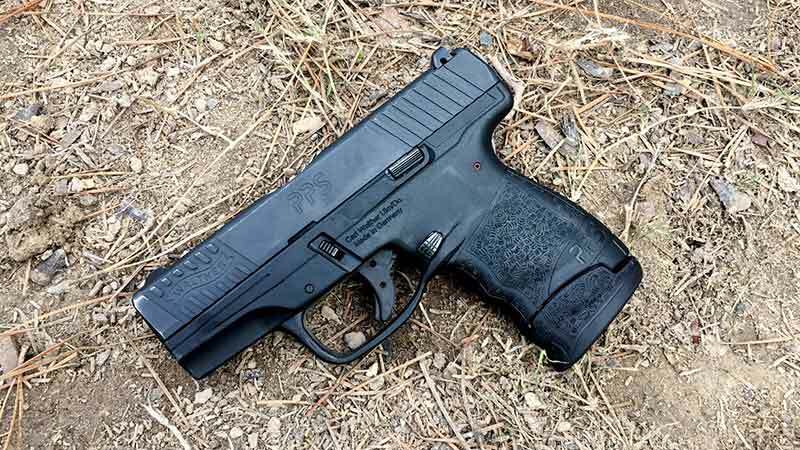 It’s a real shame that the Walther PPS is perhaps the most overlooked single stack pistol, because it’s really a great choice for concealed carry. I’ve carried the original Walther PPS (M1) in .40 S&W for several years now. I’ve carried that handgun so much that the finish is mostly worn off the slide revealing a highly polished stainless underneath. It’s a fine pistol that I reviewed in more detail the print edition of November’s 2015 magazine. But now Walther listened to the US market and brought about a few changes with the M2. The most noticeable update is the M2’s push button magazine release. The M1 had the European style paddle release. Personally, I prefer the paddle release. I find that anyone who complains about it are attempting to press it like a button release with their thumb. Once you train to use your trigger finger to activate the release there isn’t a problem. But it’s smart to match 98% of the other handgun market with a magazine release button. Next, Walther dropped the changeable backstraps in favor of a more simple design and ergonomic shape. The M1 had a bit blocky feel, and the M2 fits my hand better with the curves and less pronounced finger grooves. Since I’ve been able to compare it to the M1 I actually don’t like the feel of my M1 anymore. The M2 does not have an attachment rail on the dust cover, so you can’t mount a light or small laser. However, Crimson Trace and Laserguard have already released trigger guard mounted lasers for the M2. I feel that Walther has some of the best stock striker fired triggers. I would absolutely recommend the PPS line over the XDS and Shield. While it is just a bit heavy at 6#, it has minimum creep, a crisp break and just a short amount of travel for the reset. As for magazines, Walther still offers different capacity magazines that gives you options for low profile flush fit 6 round fit in 9mm, (5 round in .40) and then 7 and 8 round mags for added capacity and grip space. The lower capacity magazines make it difficult to have get a good grip on the pistol, but of course will offer deeper concealment. And since the grip is cut short for the smaller magazine, reloads can be tricky with holding the firearm with your pinky extended to make room for the new magazine. And no, the M1 mags are not compatible with the M2s. I preferred the softer recoil of the 9mm in this small handgun. Especially when compared to +P loads in the .40S&W. It was accurate enough to hit 1/3 sized silhouette steel at 50 yards, or even 6” plates at 20 yards. The PPS M2 also comes in at a slightly lower price point than the M1 at $469 MSRP. If you are looking for a quality concealed carry pistol you should give it a look.